STAY CONNECTED TO LEFT COAST!  Join the Left Coast Email List! Thank you for joining the mailing list! Be sure to check your inbox for a confirmation email. Cheer! Creative. Project Management. Design & Print. Product Photography. Bottle Shots. Food & Wine. Trade & Consumer Marketing & Communication. Custom Publishing. Magazines & Catalogs. Since the beginning whenever our customers asked for help we have answered the call, building our design, print, photography and custom publishing service offerings along the way. Jump? How high? It's not just cliche. We eat, sleep, and breathe Project Management from the CRM systems that manage our client projects to the internal processes that help us hit deadlines, within budget (most of the time), and exceed our client expectations. We used to say "work hard, play hard" with clients and each other. Over time this simply became "love who you work with" and the rest with fall into place. If it's not fun then we will grab our ball and go home. We are still having fun so play ball! Proudly serving the Wine, Food, Beverage & Hospitality industries of California and beyond. We offer a variety of services as our creative super powers have grown over the past decade but in case you missed them above here are the highlights: Design (both digital and print)...did we mention that we REALLY love paper? Photography with a focus on product photography and lifestyle photography. Custom Publishing...we can basically design and publish anything from a simple newsletter to a fully custom lifestyle magazine to a 200+ page product catalog. We would have to say that custom publishing might be the most fun as it allows every team member to touch any given project...making music together and helping our clients make $$. Our creative team services up and down the West Coast. We’re not called “Left Coast Marketing” for nothing! Since we are based in Sonoma and Napa counties, the majority of the regions we serve are located in California. Those regions include Sonoma County, Healdsburg, Windsor, Santa Rosa, Napa Valley, St. Helena, Calistoga, San Francisco, Paso Robles, San Luis Obispo, Santa Barbara, Santa Maria and as far down as Temecula and San Diego. Additionally, we also serve select locations as far north as Oregon and Washington and believe it or not we even have clients in New York and New England. We'll stop there...you get the idea.